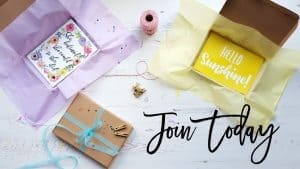 My favourite lifestyle subscription box is definitely TreatBox which is a monthly subscription box based in the UK. 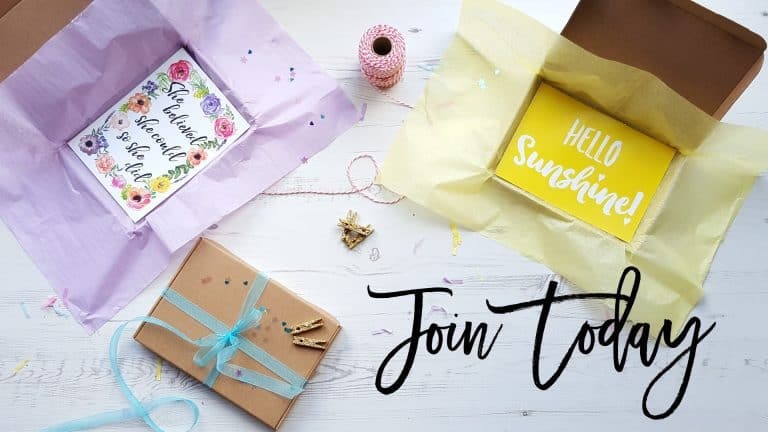 Their boxes fit through the letterbox, they are always interesting and they have a great range of items within each box. The boxes typically have a variety of stationery, homeware, food and beauty products included. 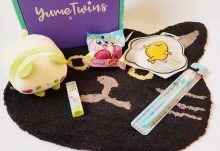 The May box contains nine separate items include a couple of pampering products, stationery, snacks and a cute tote bag, the latter is my favourite item from the May box. There is always a theme for each box and this one is ‘all about you’. Let’s start with the two pampering products, the first is a fruity face mask. I have tried a few products from this brand and I’ve liked them so I’m excited to try this mask. It’s a single use mask that claims to brighten the skin. 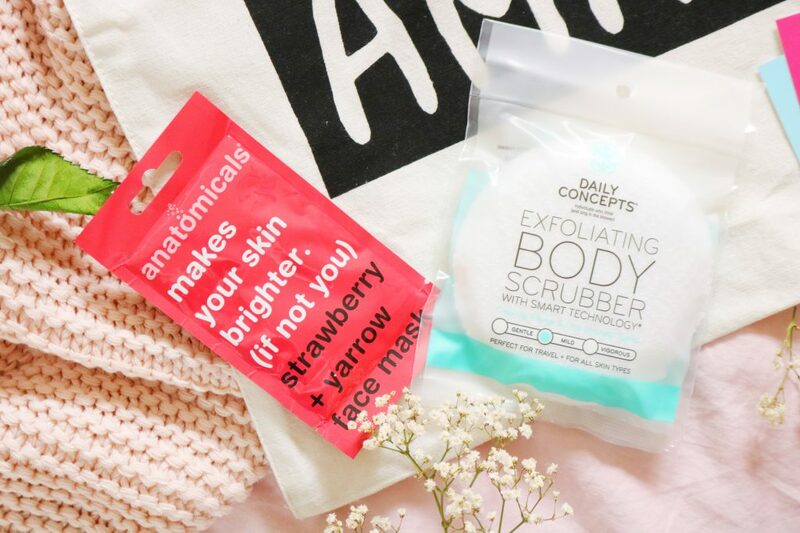 An interesting item included in the box is this body exfoliator which will definitely be needed as the summer months come around. It has a mild abrasive texture and it’s suitable for all skin type. I will definitely be using it over the next month or so. Now onto the food items, of which there are three within the box this month. I’m a big coffee drinker so I’m excited to receive these coffee samples! 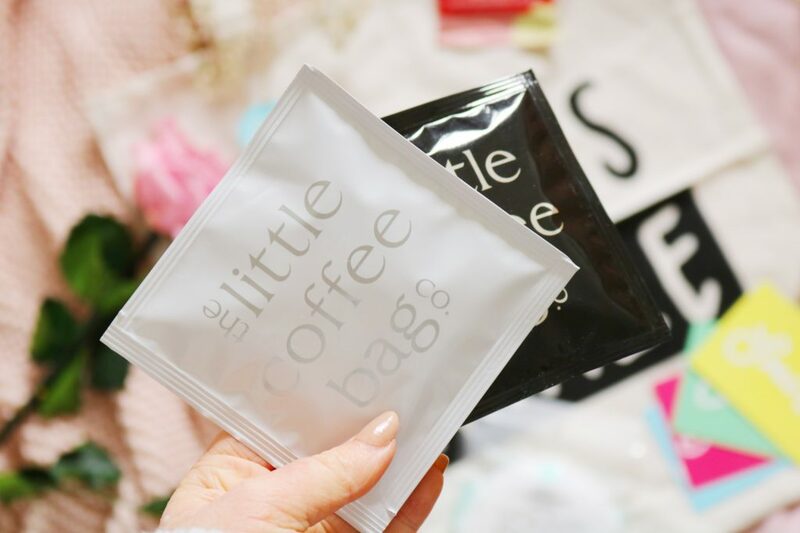 There are two blends included, the first is a blend of three pure arabica coffee beans and the second is a decaffeinated option with a rich walnut and cocoa flavour. The final snack item is from a brand I’ve wanted to try for a while! 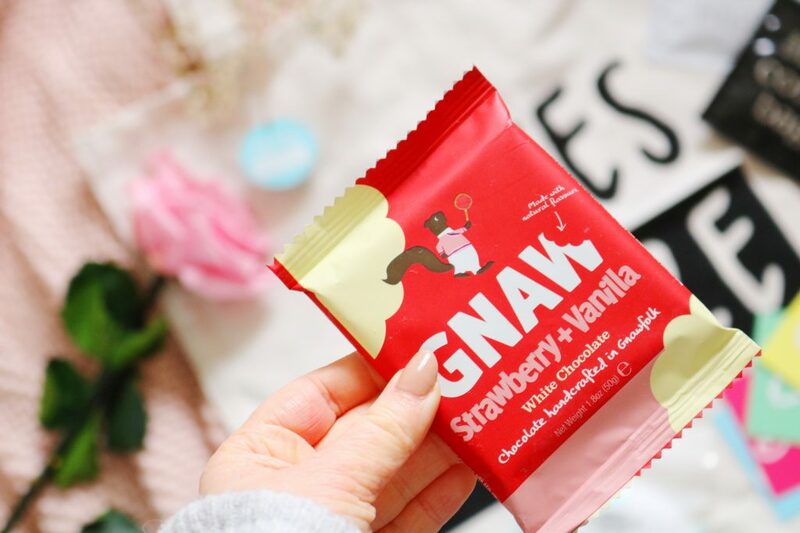 It’s a white chocolate bar swirled with a mix of fruit and tasty vanilla which is definitely interesting. I love the adorable packaging and even though I don’t like white chocolate, this bar is pretty tasty in my opinion. 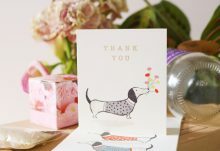 Within each box were are always stationery items, either in the form of prints, greeting cards or mini affirmation cards. 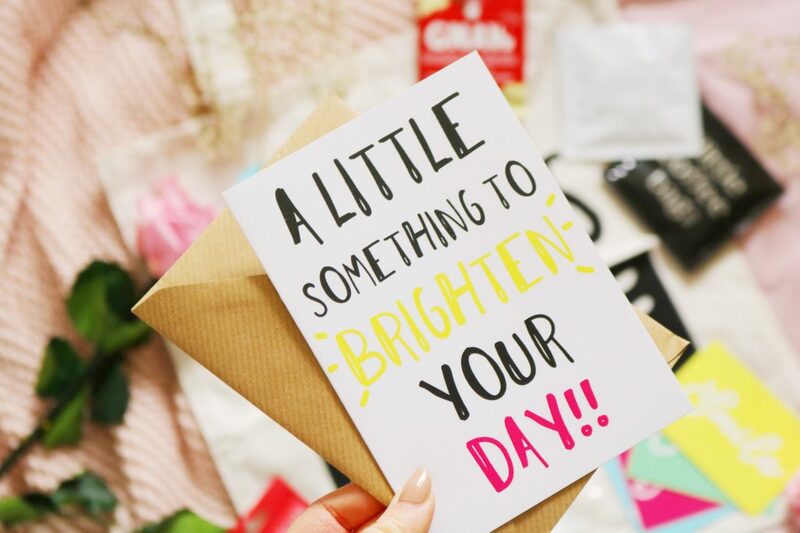 There is an adorable and colourful greeting card within the box this month with the words ‘a little something to brighten your day! !” on the front. Lastly for stationery there are a set of four mini affirmation cards including the words calm, breathe, believe and smile on them. I don’t personally use cards like this but these are very cute and colourful. 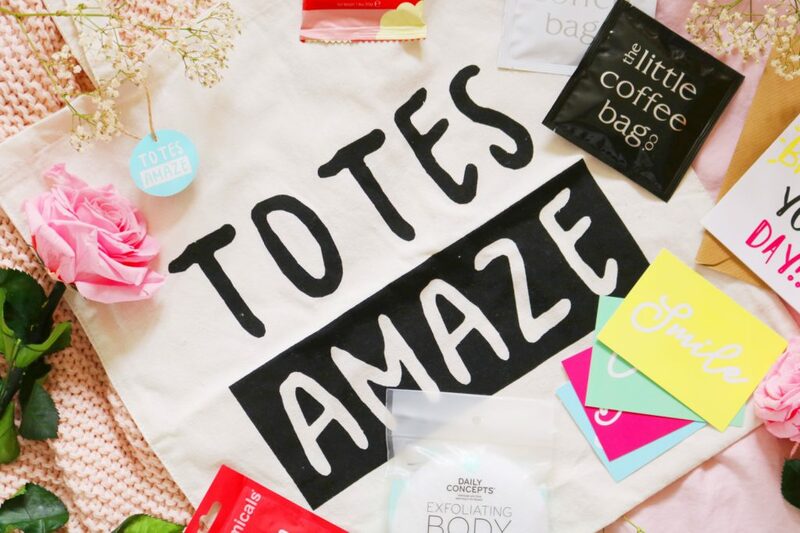 The final item with the May Treatbox is my favourite item from the entire box as it’s a cute tote bag. I use tote bags pretty much everyday as I use them to store recycling, I use them as extra bags within my handbag and for gifts. This one is perfect and I’ll definitely be using it asap. Overall, I'm happy with this box (as I always am with the Treatbox boxes)! 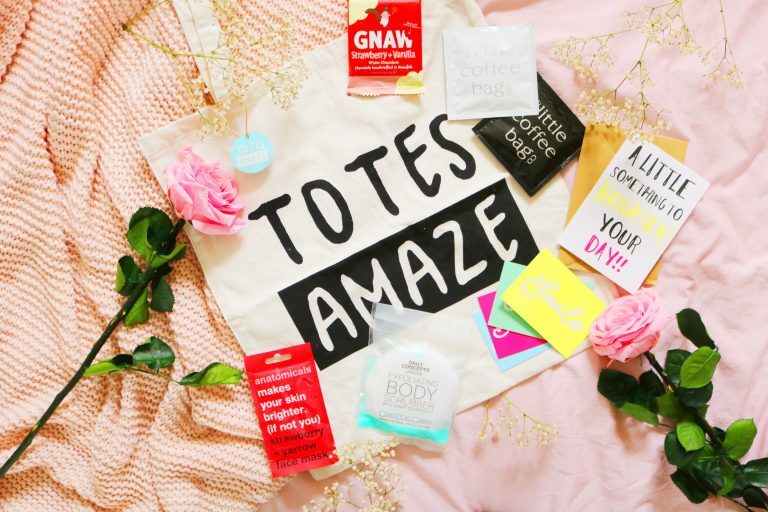 I particularly love the tote bag, coffee samples and the body scrubber from this months box. Also I always love how each months box is packaged and presented.